Are you in charge of coordinating bookings, staff shifts, meetings, team projects, or other complex schedules? If so, you may rely on email conversations or messaging apps to communicate with the people involved. It’s not ideal — email takes a lot of time and is usually inefficient — but without these back-and-forth discussions, you don’t know who is available for what time slots. Email works well in some contexts. But as a tool for complex scheduling, with multiple participants, email is slow, inefficient, and prone to create scheduling errors. Messaging, an email alternative, is slightly more contained. However, it still leaves the calendar administrator with multiple steps: you have to communicate the question (When are you available? Can you take this appointment? Can you take this shift? ), and wait for the answer. If the answer is a Yes, you switch to your calendar and input the information. If the answer is a No, you have to start the process again with someone else. You’re back to the beginning, and your time is slipping away. To coordinate a schedule that involves multiple individuals, you need the ability to communicate with them. You need to the ability to be flexible, and adjust the schedule when needed — situations do change. Ideally, you can make those schedule adjustments quickly and easily. You also need to see the big picture, an overview of the entire schedule. That’s why simply giving everyone their own individual calendar doesn’t work as a feasible solution. You have to see what’s planned for everyone involved, to avoid double-booking, missed appointments, or other schedule conflicts. Teamup lets you keep the features you need — the ability to communicate, be flexible, and see the big picture — without the need for all those emails. Instead of communicating via email, and transferring the information to a calendar, you can allow all users to access and input their information directly into the calendar. You can safely allow calendar access by making use of three unique Teamup features: sub-calendars, custom calendar links, and permissions. With multiple sub-calendars, you assign a single aspect of the schedule you manage — such as an individual, a meeting room, or a type of shift — to its own sub-calendar. 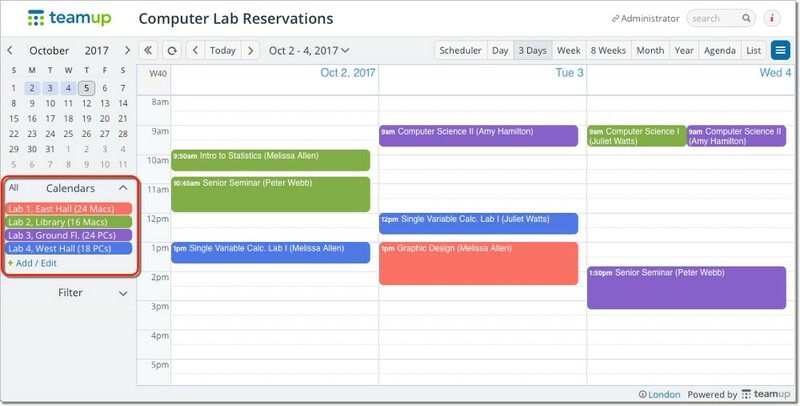 Color-coded sub-calendars make complex scheduling fast and easy. For example, if you’re coordinating coaching sessions at the gym, you might create a sub-calendar for each coach. Then they can add their scheduled sessions to their own sub-calendar. Or, if you’re managing the space for an educational camp, you might create a sub-calendar for each classroom. Then teachers can use the appropriate sub-calendar to book a class or session in the designated room. Read more about using sub-calendars to delegate tasks and scheduling. A tennis club in Spain is a great example of using a Teamup calendar to coordinate shared space: in this case, the tennis courts. A few months ago at our village tennis club, we were looking for a new system to allow our members to book and unbook courts and consult general availability. We’ve used other systems in the past but without total success. The tennis club now uses a Teamup calendar to handle bookings and unbookings of the courts, and provide information about general availability to members of the club. It’s completely reliable. We now run a totally decentralised booking system, with effective control of each user’s privileges and no unnecessary fuss. Read more about the tennis club here. To create access to your calendar, without giving away control of it, you can use custom calendar links. This unique Teamup feature lets you provide controlled access to multiple users. There’s no login needed to use the links, so coaches, clients, or customers can easily use the calendar without a registration process. You choose which sub-calendars to include in each calendar link. And, since you set custom permissions for each link, you’re completely in charge of what each user can see and do on the calendar. You can provide a read-only link, for example, if you simply want people to see the calendar. Or you can create a calendar link that allows a user to modify certain sub-calendars, and only read others. Here’s more about custom calendar links. A bike tour team in Haarlem need a solution to schedule tours, assign tour guides, and also schedule bike rentals. On every bike tour booking, we want to assign the best, most suitable tour guide. We were handling this process manually, with individual emails, text messages, and phone calls. This was not only inefficient, it was also hard to keep track of all the bookings. With Teamup, they were able to simplify the entire process by creating a calendar that the tour guides could access via custom calendar links. Now all tour guides can access the schedule and take on bookings, directly through the calendar. We started to use Teamup and in less then 5 minutes everything was operational. We created calendars and shared the link with our tour guides. In minutes, we streamlined the process of having an easy overview for everybody on the team. Read more about Bike Tours Haarlem here. 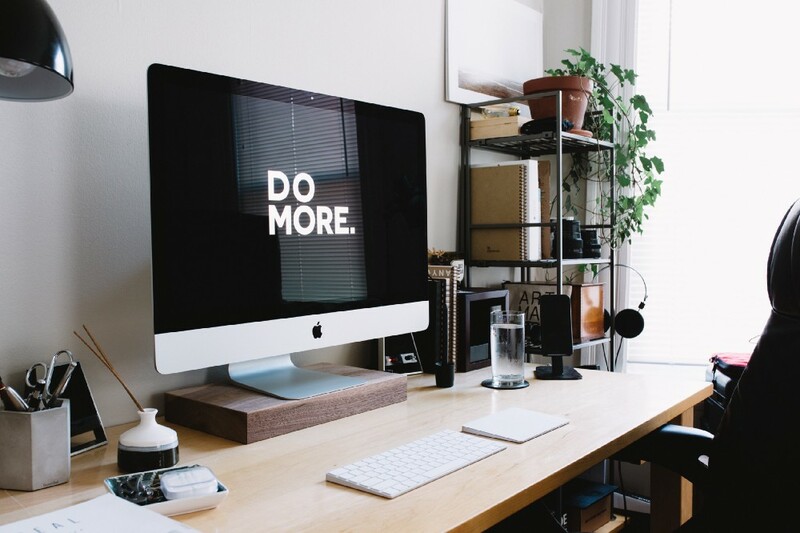 What could you do with less email, and more time freed up for more important tasks? If you don’t have a Teamup calendar yet, try out a live demo to see how you could reclaim your time from endless emails. Header image by Carl Heyerdahl on Unsplash.